We're looking for people to be part of our team this spring in seasonal, part and full-time positions. It's your chance to make a difference every day. 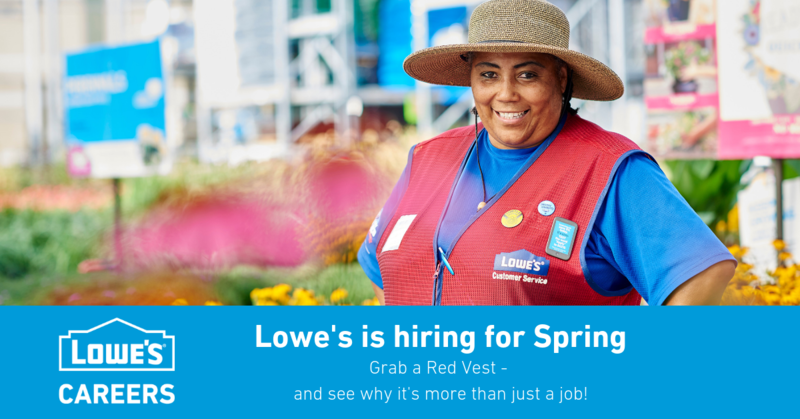 At Lowe's, a seasonal job can easily bloom into a fulfilling, long-term career. Take it from associates like Jordan, who started her #loweslife as a seasonal cashier before taking root and growing into an Assistant Store Manager. 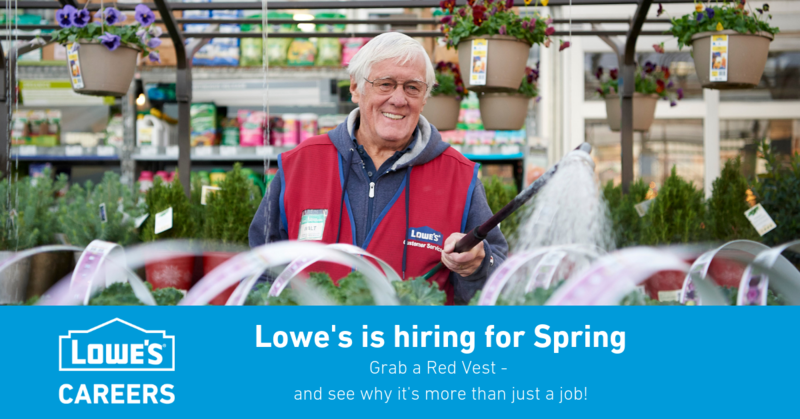 Join us at Lowe's this spring and see how your future can flourish. 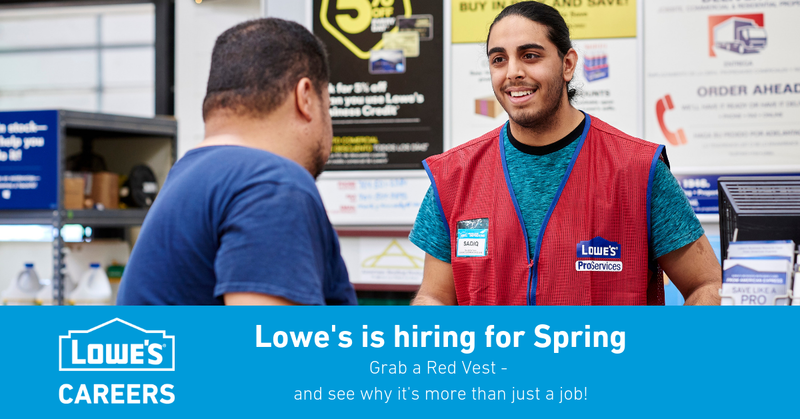 Check out our National Hiring Day to participate in open interviews to learn more about working at Lowe’s.